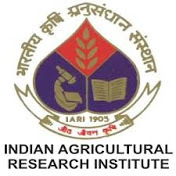 Online applications in the prescribed forms are invited for admission to Ph.D. programmes in various disciplines of Agricultural Sciences at IARI, New Delhi. The candidates who have appeared in the Master’s degree examination in the year 2018 are also eligible to apply provisionally for admission. For full details, please refer to the Information Bulletin. The Information Bulletin can be viewed from the Institute website (http://www.iari.res.in) from 12/03/2018. Eligible candidates may apply online only. The application fee (Rs.1000/- for General/OBC Categories and Rs.500/- for SC/ST/PC/CWSF Categories) has to be paid through NEFT at any nationalised bank as per the details given in the Information Bulletin. The hard copy of application (print out of online filled Application Form) duly signed by the candidate and complete in all respects may be submitted to the Registrar, Post Graduate School, IARI, New Delhi-110012 by 23.04.2018. Candidates are also advised to keep themselves abreast with communication from the P.G. School, IARI over their e-mail IDs.